Colour: Pink/Black Whisk yourself back to the 1800's when Burlesque dancing was at its best. 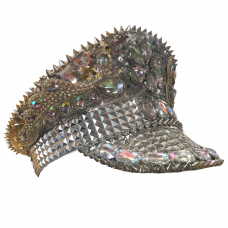 T..
Colour: Rhinestone Meet our new glamorous Festival Hat in rainbow rhinestones and sequins, part..
Colour: Rhinestone Meet our new glamorous Festival Hat in silver rhinestones and sequins, part ..
Colour: Pink This is a Burlesque Mini Top Hat Fascinator. 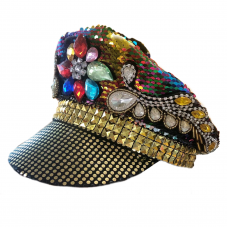 Ideal to match one of our Burlesque Cost..